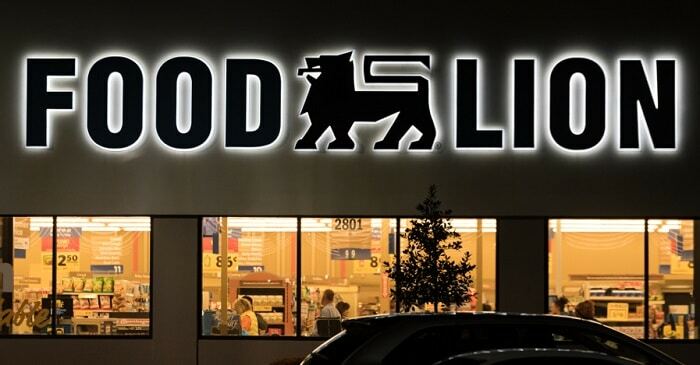 Food Lion Delivery brings the quality and value of Food Lion grocery stores straight to your home with no hassle. For the same price as shopping in-store, Food Lion will deliver your groceries through Instacart. Deliveries can be sent within two hours or scheduled for a convenient time throughout the week. Read on to find out more about Food Lion delivery, where they can deliver, and what it costs to get fresh groceries on your doorstep within two hours or less. Food Lion provides quality groceries at low prices, and working with Instacart allows Food Lion to bring the savings straight to your door. Delivery available to Charlotte, Raleigh, Greensboro, Sanford, Southern Pines, and Richmond. Deliveries are made through a partnership with Instacart. Groceries can be delivered immediately or at a scheduled time. If you don’t see your zip code above, check back soon to see when we add it! Order online at any time for a scheduled delivery, or order during delivery hours for an immediate delivery. Instacart offers the first delivery free!*. $5.99 for a 2-hour delivery with purchase of $35 or more. $9.99 for delivery with purchase under $35. Food Lion Delivery offers the same prices as in-store shopping, and any MVP savings will be applied at checkout when entering your card number. *This applies to your first order from Instacart, including from other stores. Your first order using Instacart is free of charge. Food Lion Delivery provides customers with a receipt via text or email after delivery, and the receipt can also be viewed through your Instacart account. You can rate the delivery and offer feedback at that time. Beer and Alcohol is only offered in North Carolina. Food Lion Delivery honors the same in-store price for deliveries. This includes MVP savings, which are applied at the checkout stage of the delivery process. If an item is out of stock, Instacart will notify you and allow you to select a replacement item. Instacart offers the option to be notified via text or call before checkout to ensure that your order is correct and any substitutions have been made correctly. If you prefer no contact, you can select your preferred replacement next to each item as you order through the Instacart app or website. 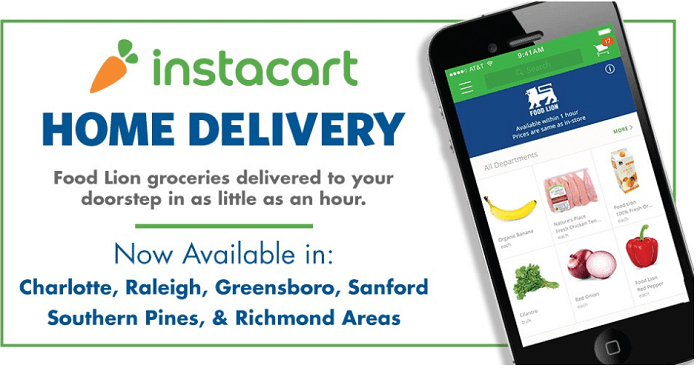 Food Lion Delivery offers the great value of in-store prices with the ease and convenience of delivery through Instacart. For a fee of $5.99 for orders over $35 or $9.99 for orders under $35, groceries can be delivered straight to your door within two hours or at a scheduled time that’s convenient for you. Have you used Food Lion’s delivery service yet? Let us know what you thought! If you have any questions or comments, leave a note below or find us on Facebook. We’d love to hear from you! Hey Buddy!, I found this information for you: "Food Lion Delivery 101: Areas, Hours, Fees". Here is the website link: https://all2door.com/food-lion-delivery/. Thank you.